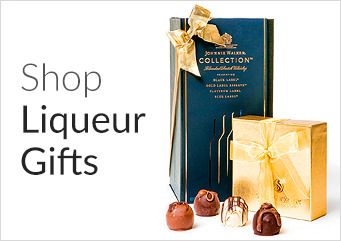 Whatever the question, chocolate is usually the answer – and the same goes for gifts. Our Godiva Chocolatier Collection features some of the world’s best chocolates, as well as plenty of other gourmet goodies. For more than 250 years, Godiva chocolates have been regarded as the ultimate gift for chocolate lovers. And with our Godiva Chocolatier Collection, it couldn’t be easier to give this delicious and decadent gift to your colleagues, clients or associates. Whether you’re planning to say ‘thank you’ to your hardworking team with an overflowing hamper, or send holiday well wishes to a client, you’ll be able to find the perfect Godiva gift in our handpicked collection. With gift baskets to suit every taste, budget and occasion, our Godiva Chocolatier Collection has something for everyone. Why not balance out those decadent truffles with a chocolate and fruit basket? Or give the lucky recipient the makings of the perfect night-in with a European Wine Collection Basket, filled with chocolates, fine wines and gourmet snacks. 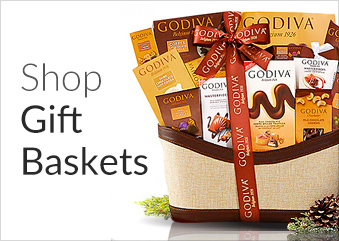 Whichever Godiva gift basket you choose, you can rest assured that it’ll be beautifully presented. Whether your hamper is packed in a wicker basket, a brushed tin box, or even an acrylic ice basket, we’ll make sure we finish off your special gift with a beautiful bow for a gift that’s a feast for the eyes, as well as the senses.